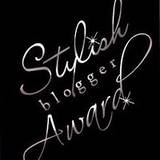 I was so surprised and pleased to be given the Stylish Blogger award from my friend Sara @ Keep Moving. Thanks Sara! I don't always like to exercise. As a matter of fact, sometime I dread it, but I always feel better after I workout. I like to watch the same movies over and over. My mom thinks I am crazy, but I love it. If it is a great movie, who wouldn't want to see it again? I have a short attention span when it come to reading. This is why I love blogs, articles and magazine. They are short and to the point. I CAN read an entire book, but I have to really love it. I love ice cream. I could eat it everyday (and sometimes I do). There is just something about the cold, creamy sweetness that is so appealing. I collect records. Yep, vinyl. I love the album art, the printed lyrics and the sound. Not sure how many have have, maybe about 200 or so. I used to bite my nails. A nervous habit since I was a kid. I finally stopped and now I actually enjoy getting a manicure as I am no longer embarrassed about my fingers. I love social media. 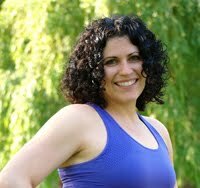 I would love to help other fitness professionals utilize the power of web. Please check out all of these bloggers for great stories, tips, support and inspiration. M.Christine Duncan January 13, 2011 at 12:08 p.m. Thanks for the award Tracy! I'm pretty thankful for your blog... it reminds me that taking care of myself can be small daily accomplishments instead of impossible herculean efforts that set me up for failure. Keep up the good work! Lunges and Lunch January 13, 2011 at 12:59 p.m.
Tracy Simmons January 13, 2011 at 2:09 p.m.
You are both very welcome! I enjoy reading both of your blogs :) I hope you pass on the love!